, the newest training resource available to all Google Apps organizations. 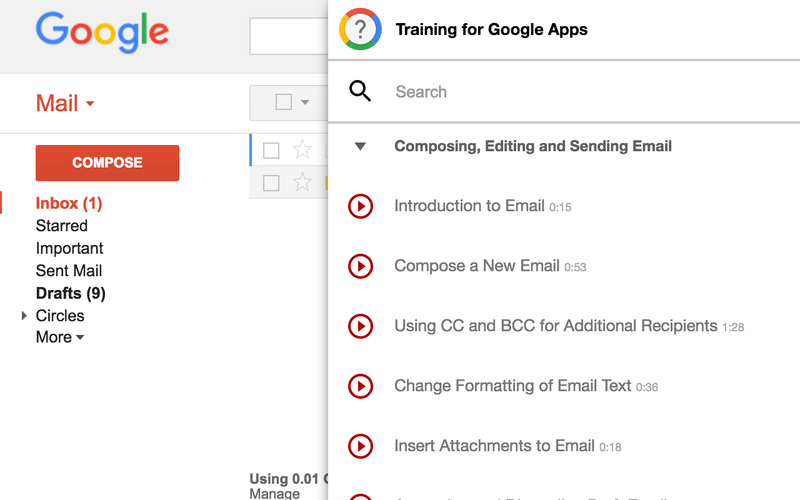 What is Training for Google Apps? Designed to be simple and efficient, Training for Google Apps is a new interactive in-app learning experience to help users get quickly up and running with Google Apps. Built on the Google Cloud Platform, Training for Google Apps acts like a virtual coach inside of the Google Apps interface. 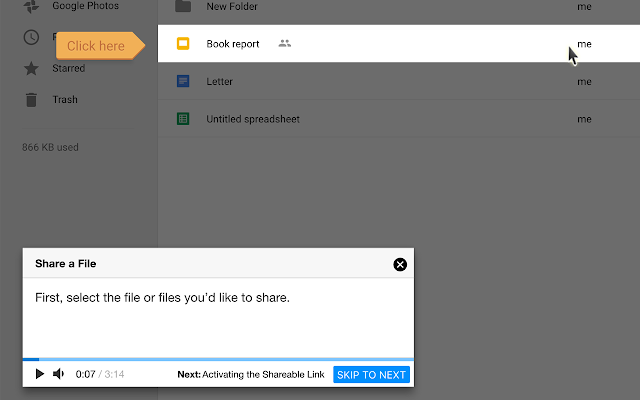 Users have access to voice and text interactive modules that are searchable by topic within any of the Google Apps products, which includes Gmail, Calendar, Drive, Docs, Google+, and even Classroom. Modules are available in Japanese, German, Chinese, English, French, and more. How can Training for Google Apps help me? Learn about key features right inside the app! Whether it’s to master Google Apps, Google Classroom or the Google Apps Admin console, Training for Google Apps can help your entire organization. Training for Google Apps can be deployed quickly and easily to all your Chrome and ChromeOS users, all from the Google Apps Admin console. You can use Chrome Management (available to all Google Apps customers) to centrally manage installation of the extension. Please see our Help Center article for more information. We look forward to hearing how you’ll use Training for Google Apps to help your users with the critical task of change management and application support. Whether you’ve just gone Google or have been using Google Apps for years, IT departments always have a need to train new users and keep them up to date on the latest technologies. In a perfect world, each employee would have helpful IT staff by their side to guide them every step of the way, but that’s not always possible, nor is it really practical. That’s why we are excited to announce Training for Google Apps, the newest training resource available to all Google Apps organizations.